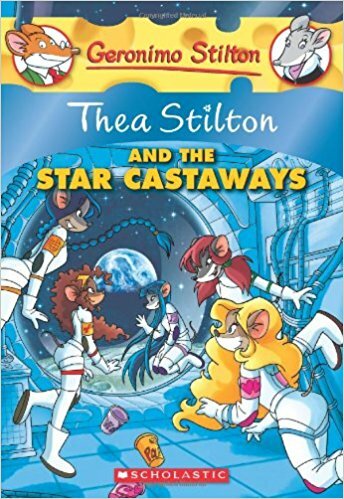 A professor at Mouseford Academy is organizing a trip to outer space and the Thea Sisters are invited. The mouselings are headed on a fabumouse mission. To the moon! After much preparation, the mice blast off, but when they arrive at their lunar vacation spot, things start to go wrong, including spaceship wrecks and rebellious robots. Can the Thea Sisters save the day? Find out in an adventure that's out of this world!